One of the most serious enemies of marijuana plants is bigger pests such as cats, dogs, and rodents. This also includes wild animals like deer, rabbits, and raccoons. By nature, these creatures like to dig, nibble, and trample on plants. Obviously, this can be bad news to the cannabis crop. While tiny insects and bugs can be destructive, it usually takes a long time for them to do serious damages. On the other hand, bigger animal pests can single-handedly ravage the garden overnight. This is especially true when we have squirrels, gophers, and rabbits digging up the ground and damaging roots systems. For marijuana growers, finding the garden in such a bad condition is a stressful nightmare. Nothing is more frustrating than seeing months of hard labor gone to waste. While it is possible to resuscitate wilting plants, those with bigger damages in the roots will most likely die. To deal with this issue, this article will cover the identification of different animal pests that could frequently visit the garden. Once we can identify them, prevention becomes easier, and we can return to focusing on taking care of the plants. Food and shelter are the main reasons why large pests sometimes bother the marijuana garden. That’s why most damages occur between fall and spring. As such, they are packing up calories in the fall to prepare for the harsh winter. Then, during springtime, they are trying to regain the pounds they have lost. In both cases, the fatter they are, the better. Here is a complete list of animal pests and the methods to deal with them. Birds are known to feed on germinating marijuana seeds. As a result, we are left with nothing to grow if can’t control the number of birds feeding in the garden. On the other hand, if they are not eating up the seeds, they could be digging holes to hide their stash. They do so to bury nuts and other seeds to hide them from other predators. These flying critters like to dig up and bury their food treasures in spring, summer, and fall. In the winter, these holes are usually dug up and left open. Providing a netting over the crop is a good place to start when dealing with birds. To protect the seeds, germinate them indoors, or place a cover on the pots. Wild animals such as the deer are heavy feeders but they are selective on what plants to eat. Basically, they like to consume only the ones that are nutritious and don’t emit strong scents. However, when they are left with nothing else, they will leave no plants untouched. Since they also like to explore for food, they could end up in the garden no matter how well we hide it. As such, they have no problem eating up the leaves of the marijuana crop. While the damage can be tolerable with only one deer grazing in the garden, having two or more can be harder to manage. As a result, we can end up with stalks that have very few surviving leaves. Even worse, they can include eating up the flowers that are supposed to produce the buds. There are many ways to tell if the deer has been in the garden. First, they will leave cloven hoof prints that are the most obvious sign of their presence. They may also leave bean-shaped droppings. If they are currently in the garden, they may make whooshing sounds when they sense that a human is near. The most reliable way to keep the deer off the garden is to erect a high and sturdy fence. Other ways include repelling them using pungent odors such as garlic. We can also use a predator’s urine such as from a lion or coyote. These products are available in local stores but make sure to buy from a responsible source that treats the animals humanely. We can also surround the garden with lush bushes since the deer don’t like wasting time entering an area like this. Simplest of all, make sure that the garden is clean and doesn’t have any acorns or fruits and flowers lying around. But if hi-tech is what we are after, there are also many options for this electronic method. Moles are furry creatures about 5 to 7 inches long that have pointy noses and powerful claws. Although they don’t have any interest in the plants, they can still damage the garden by burrowing underground and leaving the roots to dry out. Aside from making tunnels, moles build hills by pushing up soil from below. So, we know that there are moles when there are mounds of loose soil on the ground but there are no visible holes. They usually do this during the warm weather to make air vents. In winter, they continue to do this to feed on soil insects, earthworms, and other grubs. The best way to minimize problems brought on by the moles is to place a barrier between the creature and the area around the roots. We can do this by using a can or screen to protect the root area. Similarly, building a fence that goes three feet below the ground is a good option. Another method is to make sure that there are no grubs in the soil that could attract these dirty creatures. Like the moles, gophers are tunnel diggers but instead of just looking for grub, they like to feast on the plants’ roots. Hence, they are a big cause of concern for marijuana growers. Gophers like to dig entrances and exits for their underground colony. Therefore, we can spot holes with loose dirt mounds around them in the garden if they are present. Also, the holes they dig are more likely to be very deep. Because of this, they have easy access to all the roots they can eat. The can or screen method of prevention for moles could work as well for the gophers. Other effective solutions that are environmentally friendly include placing garlic or castor oil on the holes to drive them out of the garden. Rabbits are frequent visitors in the garden and they love to feast on the roots of the plants when they are underground. When they are above ground, they usually trample or eat the leaves. Hence, they can do double damage to the marijuana crop. Add to that, if left unchecked, they can multiply at a very rapid rate. Unlike gophers who tend to dig two holes for going in and going out, rabbits make only one hole. Also, they like to make the holes clean. One of the best ways to discourage rabbits from settling in the garden is to sprinkle blood meal powder around the plants. However, this method can attract carnivore animals that can further destroy the garden. So, be cautious when using this method. Another option is to use urine from predators like lions or coyotes. Simply pour the urine around the plant to deter any herbivores from plucking the leaves. These rodents generally prefer to gobble up human trash but they have no problem feeding on marijuana plants as well. But the main reason they disturb the plants is that they have this urge to constantly gnaw at something. Their teeth grow fast and they would generally feel sick if they allow their teeth to continue growing. If left to continue, these critters can multiply rapidly, making it even more difficult to deal with them. For starters, we might notice that some of the plants’ stalks are mercilessly chewed on. There could also be signs of rat or mice droppings. Sometimes, there might even be damages to the buds. The best prevention technique is to keep the garden clean since these rodents are lured in by garbage and left-over food. This means putting a lid on the compost and trash bins. We can also get help from common rat predators such as cats, hawks, owls, and eagles. As gross as it may sound, rats and mice are also attracted to animal poo. So, make sure to clean the feces of domestic animals such as the cats and dogs. Raccoons feed on a great variety of soil insects as well as earthworms, especially in the spring and fall. They do this by using their front paws and use them like hands to rip off and flip the soil. To the marijuana crop, this activity is a death sentence. We know that there are raccoons in the garden when we see chunks of soil that are flipped over the ground. We can use castor oil-based surface-repellents to cover the alluring smell of soil insects and grubs underground. To use, we spray them on the ground and avoid water from running in and diminish the repellents. Skunks are similar with the raccoons in a way that they eat the same food and dig up the earth to get them. The only difference is that skunks can leave a pungent odor when harassed by other animals that forage on the same area. Because skunks can’t jump or climb, they depend on the ground for nourishment. They do this by smelling the soil and using their long front claws to dig and bring up the grub. Hence, there can be several shallow holes all over the garden surrounded by loose soil. The same method to discourage raccoons in the garden can be used to deal with the skunks. There are two types of squirrels that can wreak havoc in the garden. These are the tree squirrels and the ground squirrels. Obviously, their choice of habitat is very different but they are classified as the same species. This type of squirrel digs up holes in the garden with the same intent as birds: to hide their food. All the digging and covering can be disastrous to germinating plants. In the same way, they bury their stash between spring and fall, then uncover them in the winter. So, during the winter season, it is common to find several tiny holes with a ring of loose soil. We can keep tree squirrels away by putting a netting all over the garden. Using repellents may also work. These critters also like to dig but not with the purpose to hide their food. Much like the gophers, they dig to make a habitat for themselves and consume the roots for food. Like the gophers, ground squirrels like to dig deep with two outlets. But they like to keep their holes neater, much like the rabbits. To discourage them from making their home underground the garden, we can set up a fence that goes down up to three feet below. Also, we use the same methods for other burrowing creatures such as using a can or screen to create a barrier. Common in Australia, wallabies are the smaller relatives of the kangaroo. Their source of food is primarily plants which include grasses, vegetables, and leaves. To find food, they will cover many distances, so, it is not uncommon for some of them to wander in the garden. Since they mostly feed on leaves, they could strip the marijuana plants bare. They could also trample on them. Thus, the signs that we can observe when there is an unwelcome wallaby are half-eaten or trampled leaves. The best option is to build a fence using a sturdy material or a screen which is 4 to 6 feet in height. We can also use aromatic and prickly plants to deter them from coming closer to the garden. Native to Australia, these muscular marsupials are notorious for burrowing just about anywhere in a property. Hence, they are the most problematic to handle. As such, they can be motivated to dig deep tunnels to look for food, escape the heat, or hide from a predator. To the marijuana crop, this can have disastrous consequences. Wombats tend to dig a few fresh-dug holes within their home range of 5 to 25 hectares. Their burrows usually have their characteristic scratch marks or cube-shaped droppings. Covering the entrance of their burrows with a steel mesh discourages the wombat to make more holes. The scent of a predator’s urine may also deter them from digging some more. They have the same reaction towards powdered blood or bone meal. To use, simply pour the urine or fertilizer around the holes of their burrow. However, be cautious about the wombat’s next move. In general, when they get displaced, they would start to burrow in even more undesirable locations such as under the house or garage. Cats and dogs are usually domesticated animals that don’t depend on the marijuana plants for food or lodging. However, they love staying in the garden and will most likely poo or pee near the plants. In addition, a pest infestation also needs to be dealt with before it feeds on all the leaves. These feline friends are usually cute and cuddly but they can harm the plants by making the garden their personal toilet. Their urine has high ammonia concentration which can damage the plants. On the other hand, their poo is teeming with various bacteria which attracts harmful insects and rodents. In addition, sometimes, they are drawn to the cannabis and bite on the leaves. As mentioned above, there are many ways to tell if a cat has been in the garden. First, there will be the unpleasant smell of pee and unsightly poo. There could also be half-bitten leaves on some plants. While these are tolerable in small doses, it can be harmful when done frequently. Using scents that offend the cats is a great way to keep them out. This includes citrus peelings, cinnamon, and garlic. There are also preventative measures like setting up a fence or placing chicken wire on the ground in between the plants. But the most popular method is to use a high-powered water gun and squirt at the felines every time they try to make a dash into the garden. Dogs pee and urine are equally harmful to the plants. But mostly, they like to trample on the leaves and stems. The offensive smell of dog feces or urine is a clear sign of their invasion. Bent stalks and leaves may also be present. There are several ways to deter our beloved pets from disturbing the garden. But a good preventative solution is to build a sturdy fence. A water gun can also work, as well as using pungent repellents. 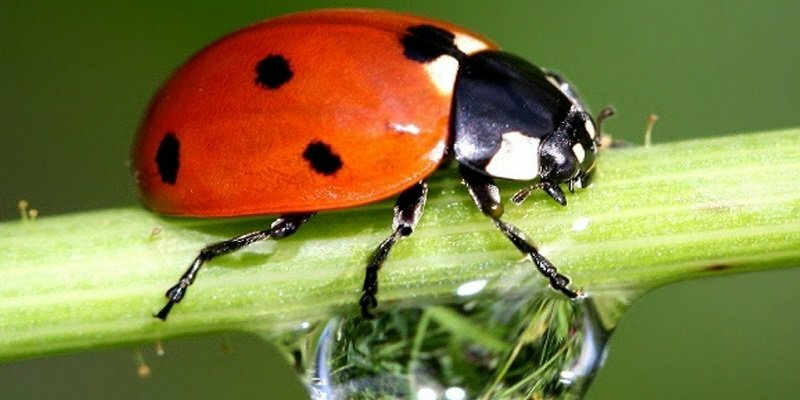 To ensure a healthy garden that survives to produce buds, it is vital that we know the behavior of common animal pests. The ability to tell if they have been in the garden is also important so we can prepare the best method to repel them. Most of all, we must try to discourage them from settling in the garden by using humane methods. In general, the best way to repel these bigger pests is to use preventative measures. Doing so reduces the chances of disturbance to ever occur in the garden. So, be familiar with the many different pests and deal with them accordingly and naturally. Doing so will make for a more satisfactory gardening experience. awesome post, maybe now I can keep the pests away. I agree as blood meal powder is effective for protecting outdoor grows, If growing indoors spider mites which are a known bug problem, a good protector against them are lady bugs for all you indoor growers! I tried to download your generous offer and never got a response. As long as you have foliage left, and criitters cannot feast on the remaining plat; You have a chance. I would temper my expectations of success.